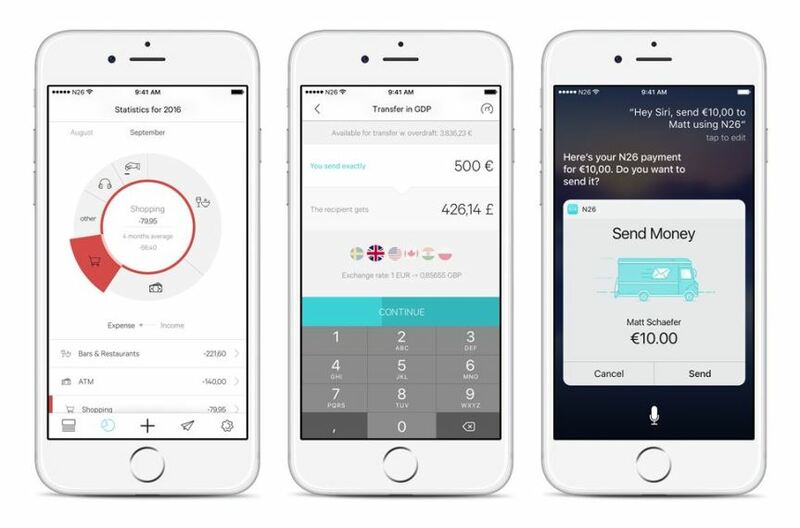 The company, formerly known as Number26, now offers accounts in 17 European countries. Bank-based mobile application extends its services to Belgium, Estonia, Finland, Latvia, Lithuania, Luxembourg, Netherlands, Portugal and Slovenia. Like the Atom Bank in the UK and GoBank in the United States, N26 is a fully mobile bank. Opening an account takes only eight minutes and this can be done by downloading the application on your device running iOS or Android. Customer identification is performed by a video call and requires to show your passport. After verification, the customer can transfer money to a free bank account and receive a MasterCard card. The Bank currently operates in Germany, Austria, France, Spain, Italy, Greece, Ireland and Slovakia. In France, the use of bank services is currently limited, but probably will be again fully open in February. N26 has received a banking license in July and has acquired over 200 000 customers in eight markets. The Bank says that its goal is to provide services to all Europeans over the next few years.